As an Accounting/Tax professional, you want to make sure that your clients can maximize all their tax deductions. One of the most difficult deductions to take full advantage of is deducting all business vehicle expenses. This is usually due to your client not doing the best job of recording all their various vehicle expenses and not being able to meet the IRS requirements for logging each trip properly. What if we told you that there is a way you can help your client maximize their vehicle expense deductions with the least amount of effort? We are talking about a mileage & expense tracking app – these applications aim to help you save both money and time. Forgetting to log the trip or the vehicle expense. How can you benefit from a mileage & expense tracking app? An accountant’s job is complex in nature – but trying to account for all the various vehicle expenses and calculating business mileage can test your limits. You know the IRS requires nothing short of perfection, and without great record keeping, you cannot help your client maximize vehicle expense deductions. The main benefit that a mileage & expense tracking application offers is a simple app running on their smartphone that automatically records all trips and provides a quick an easy way to capture any vehicle expense as it occurs. Of course, your client could record all trips in a logbook and save vehicle expense receipts in a pouch and drop it off to you. Then you get to figure it all out manually – each time your clients drop off their pouch of receipts and mileage logs you’ll have plenty of writing and calculating to do. Simply put, by recommending mileage tracking apps to your clients, your job will be easier, and the data will be pristine in the eyes of the IRS. The greatest benefit mileage & expense tracking apps provide is that you can do your job in less time – that means you will be able to expand and take more clients under your wing. Of course, these applications don’t come for free, but the annual expenses are low, and they quickly pay for themselves. There are dozens of mileage tracking apps you can use, and even though they all operate on the same principle, each one works differently when compared to the next. TripLog is a convenient, user-friendly mileage & expense tracking app. Costing just $40 per year for a professional subscription, TripLog is the best value among the major mileage tracking applications. Where you save in costs, you surely don’t sacrifice in effectiveness–it boasts 6 different ways to automate tracking, such as Magic Trip or IBeacon, all of which aim to help capture and record every trip. TripLog auto-categorizes trips and income & expenses. Capture & organize receipts and associate them to trips which helps maximize tax deductions. Best of all, you save time because you can upload all categorized income & expenses directly into accounting software like QuickBooks. Lastly, you don’t need to fret about losing your records in case you delete the app (or if you fail to pay the annual fee), all your records will be kept safe in Cloud storage. The MileIQ application is just a bit more expensive than TripLog, costing approximately $60 annually. It also can record vehicle expense and has one way to enable auto tracking. MileIq doesn’t integrate with QuickBooks and since there is only one option for auto tracking, it tends to impact phone battery life.With MileIQ, you also don’t need to worry about losing your records in case if you delete the app, as all your records are stored in the Cloud. QuickBooks Self Employed offers more than just mileage tracking, as you can manage bills, income, expenses and invoicing. On the downside, at $10 per month plan, the QuickBooks SE app costs approximately three times more than TripLog and twice as much as MileIQ annually. QuickBooks SE is a standalone product and doesn’t integrate with any other QuickBooks accounting software. Mileage tracking isn’t available in QuickBooks Online or any other QuickBooks software. With technology, doing taxes has never been more assisted. 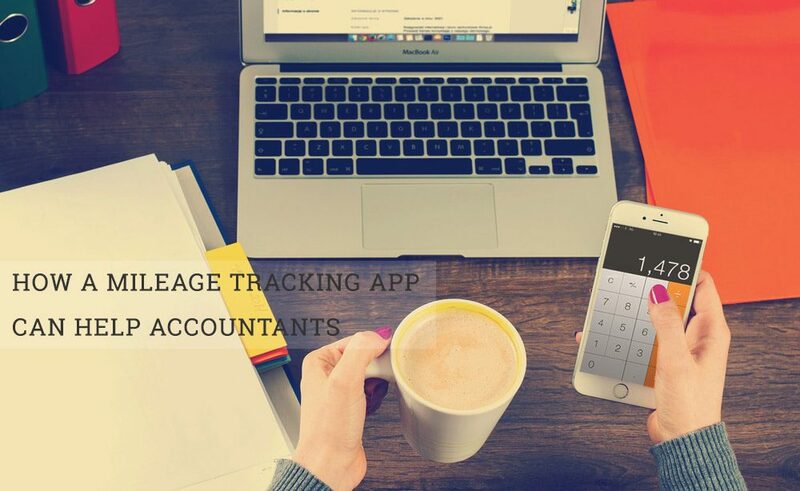 Mileage tracking apps ensure that accountants don’t need to stay awake all night sifting through heaps of documents and data, as a simple click can yield accurate, reliable information needed. There is no catch or a hidden downside to using them – even though they’re not free to use, the amount of time you will save will be more than enough to compromise for the annual fee you’re going to pay.